Whittier prepares students for the rigors of post-secondary education with a robust, practical curriculum. Our College Preparatory and Honors level classes deliver the structure and depth of content required to prepare students for the college life. In addition, in partnership with Essex Community College, Whittier offers concurrent enrollment classes in English, with plans to expand to math and science in the near future. The concurrent enrollment courses have the distinct advantage of earning our students high school AND college credits that are accepted at every Massachusetts state college and university, and many private ones as well. These classes do not require a score on a test to qualify for college credit equivalency - they ARE college credits, earned by doing real college level work. Visit our Academics tab for our full Program of Studies and special topics of interest. The vocational/technical areas offered by Whittier Tech are representative of the careers and opportunities that are available in our member towns and surrounding areas for our students after graduation. Students who attend Whittier Tech are exposed to all of our vocational/technical areas in their first year during the Freshmen Exploratory program. This program allows your student to see all that Whittier Tech has to offer, and find that one specialty that engages and excites them the most. Whittier offers 22 vocational-technical majors, divided into six clusters. For a complete description of our programs, please refer to the complete Program of Studies. The Exploratory Program at Whittier Tech is designed to allow students to make informed decisions in choosing a vocational technical area which they wish to pursue. The Exploratory Program provides students with experiences in career awareness by giving them the opporturnity to explore all the vocational technical areas that Whittier Tech offers. For ten weeks students will rotate through all vocational technical programs. This experience promotes equal opportunity and equal access for every student and encourages participation in non-traditional career choices. Career plans will be developed for all freshmen and will be evaluated yearly. This plan will ensure that students choose career paths that match their interests, abilities and educational goals. 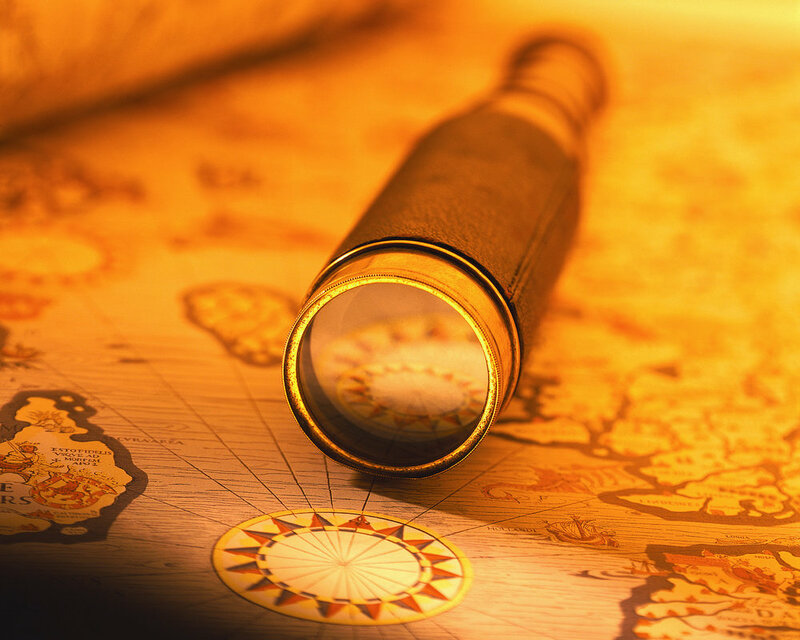 Various assessments are used and short and long term goals are established. All freshmen are issued an iPad as part of our one-to-one intiative. Using their iPad, students will complete a reflective writing piece at the end of each exploratory week. These are saved by the student and can be shared with Parents/Guardians. All students are graded consistently in all technical programs. The Arts & Communication cluster is comprised of two majors - Design and Visual Communications, and Graphics Communications. The Design and Visual Communications program provides training in all aspects of visual design and production for both print and multi-media. Freshman students choosing Design and Visual Communications will rotate through the Design and Visual Communications and Graphics departments throughout their sophomore year. This allows students the opportunity to explore the communications field from planning and design to publication. Students will then choose a concentration for their junior through senior years. Students are introduced to a variety of software programs such as InDesign, Illustrator, and Photoshop, Dreamweaver and Flash. This experience also serves as a solid background for those interested in learning web page design. Principles of design and color theory, copy preparation, desktop publishing, digital photography, illustration, animation and web-based portfolio preparation are emphasized. In addition, students are prepared to acquire Adobe Certified Associate (ACA) status by taking various exams in their junior or senior year. ACA exams are offered in Visual Communications, Rich Media, and Web Design. Upon graduation, students are prepared to pursue jobs and freelance opportunities in layout and design, desktop publishing, illustration, digital photography and web design. The Graphic Communications program provides training in all aspects of pre-press operations from layout through finishing and bindery. Freshman students choosing Graphic Communications will rotate through the Graphics and Design and Visual Communications departments throughout their sophomore year. This allows students the opportunity to explore the communications field from planning and layout to publication. Students will then choose a concentration for their junior through senior year. Students are introduced to a variety of software programs such as Adobe InDesign, Illustrator and Photoshop as well as Microsoft Office. Copy preparation, desktop publishing, film developing, silk screening, offset platemaking, offset/digital printing and bindery operations are emphasized. Upon graduation, students are prepared to pursue jobs in customer service, sales, job planning and layout, desktop publishing, platemaking, press, Xerography and bindery operations. In addition, students are acknowledged as having graduated from a PrintEd approved, nationally recognized program. The Construction cluster is comprised of four majors - Carpentry, Electrical, Masonry, and Plumbing. The Carpentry program provides instruction in finish carpentry, house construction, remodeling and current building codes. Carpentry students are instructed in the use of basic hand tools, portable and stationary power equipment, estimation and use of building materials, millwork fabrication, project lay-out and design. Successful completion of the Carpentry program will satisfy one of the three years of experience required by the state for Construction Supervisor certification. In addition, graduates of the program can apply to the Boston Carpenters Apprenticeship & Training Fund (BCATF), the Eastern Massachusetts Carpenters Apprenticeship & Training Fund, and the Construction Craft Laborers Apprenticeship Program & Training Committees (JATC). Graduates who meet the standards for admission have the opportunity for accelerated advancement through these programs. After graduation, students are employable as framers, finish carpenters, cabinetmakers, remodelers, dry wallers, siders, and lumberyard employees involved with distribution and sales. Students in the Electrical program learn the fundamentals of electrical circuitry and the laws that govern electricity. Course content includes electrical theory, electrical building code, safety practices, and installation techniques. In addition, students will receive over 1,000 hours practical experience and 150 hours of theory code toward licensure from the Commonwealth of Massachusetts Board of State Examiners of Electricians. Upon graduation from the Electrical program, students will have opportunities to enter the workforce as electrical apprentices for employment with electrical contractors, systems contractors, and electrical supply distributors, working toward the goal of licensure. 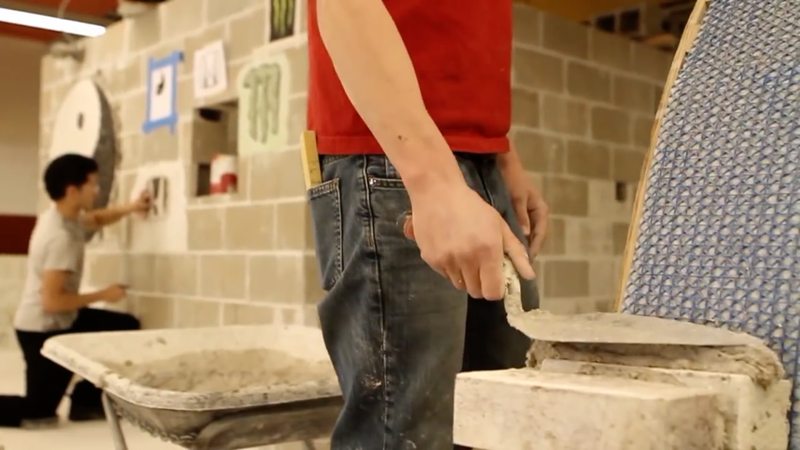 The Masonry trade produces some of the highest paid workers in the construction industry. Students receive instruction in working with brick, block, stone, tile, and concrete, as well as hands-on training in the proper use of hand and power tools. The curriculum combines theory with practical application. In addition, students will also develop skills in blueprint reading and estimating. Career Opportunities include: Local 3 - Union Apprenticeship Program, bricklayers, stonemasons, cement finishers, tile setters, salespersons, construction management, general contractors, design professionals, cost estimators and more. Many of our graduates have found success by becoming skilled journey workers through the Local 3 Apprenticeship Program. In the Plumbing and Heating program students are trained in all phases of commercial and residential plumbing, including tool and material recognition, drain installations, and the installation of forced hot water and steam heating systems. Students are also trained to install water lines and gas lines. Further instruction is provided for the students in the Massachusetts State Plumbing Code, plumbing and heating theory, and the safe use of required hand and power tools. Students also learn the use of gas torches for welding, soldering and brazing. Upon graduation from this program, students complete Tier I and II of the five tier state mandated plumbing apprenticeship training program and receive over 1000 hours practical work experience. Career opportunities include positions as: apprentice plumbers, journeyman plumbers, estimators, plumbing tool and supply sales positions, plumbing inspectors, pipe fitters and gas fitters. Many of our graduates have found success through the Joint Apprenticeship Training Centers (JATC) programs including: Local 12 Plumbers and Gas Fitters, Local 537 Pipe Fitters, Refrigeration, Air Conditioning and Oil Burners. The Manufacturing cluster is comprised of three majors - H.V.A.C., Machine Technology, and Metal Fabrication. The students in HVAC develop the technical knowledge and skills that lead to career placement as an HVAC apprentice. Skills are developed through class theory and instructional labs covering the installation and service of a variety of equipment. Topics covered begin with hand and power tool safety and progress to refrigeration and piping practices, gas and oil heating systems, heat pumps, electrical troubleshooting, blueprint reading, heat load calculations, duct construction and green technologies. In addition, upon successful completion of the program, students receive 100 hours of Massachusetts electrical code training and over 100 hours of refrigeration theory. These hours can be applied to the Massachusetts refrigeration and/or oil burner technician requirements for licensure. Students will also have the opportunity to take section 608 of the Federal Clean Air Act exam. The Machine Technology program combines the use of technical knowledge and hands-on experience in the manufacturing of products and the proper use of precision machines. Emphasis is placed on technical machine shop theory, knowledge and the use of lathes, saws, vertical and horizontal milling machines, surface and cylindrical grinders. In addition, applied machine shop mathematics, blueprint reading, geometric dimensioning and tolerancing, knowledge and operation of Computer Numerical Control (CNC), Vertical Machining Center (VMC) and CNC Lathe, FANUC Wire EDM, 4th Axis Machining will be studied. In the Metal Fabrication program students develop working skills in several fabricating fields. Training is accomplished with state-of-the-art equipment, including Computer Numerical Control (CNC) press brake forming, CNC precision punching, CNC precision plasma cutting, Computer Numberized Control spot welding and new Inverter multi-function welding machines. Welding disciplines also included are Gas Tungsten Arc Welding (GTAW), Gas Metal Arc Welding (GMAW), and Shielded Metal Arc Welding (SMAW). In addition, through an articulation agreement, graduates of the program can apply to the Sheet Metal Local 17 & Local 63 Joint Apprenticeship & Training Committees (JATC). Graduates who meet the standards for admission have the opportunity for accelerated advancement through the program. The Technology cluster is comprised of four majors - CAD/Drafting, Business Technology, Electronics/Robotics, and Engineering Technology. The CAD/Drafting program introduces the student to the use of drafting instruments, measuring, line work, geometric construction, orthographic projection, sketching, isometric drawing and perspective drawing. Students progress to drawing layout, multi-view drawings, sectioning, auxiliary views, assembly drawings and model making. A major part of the curriculum includes computer-aided drafting using AutoCAD, Solidworks and Revit software to produce drawings on the computer. Students draw a series of projects which are designed to progressively lead them to basic proficiency level in drafting and CAD. Students are then encouraged to choose an area of interest (mechanical, architectural, etc.) and are then guided through higher level projects which are drawn in 3D software and printed on a 3D printer. In addition, students learn conceptual design practices and how to build prototypes and models. In addition, each student is given the opportunity to take the American Design Drafting Association ADDA certification test which is internationally recognized. Business Technology and Marketing have joined forces to provide a comprehensive and well-rounded program to prepare students for the business world. Curriculum will integrate marketing concepts, accounting, QuickBooks, computer applications, and of office practices and procedures which will provide students with a strong foundation in business. Students will also be introduced to legal issues and develop knowledge in personal finance. They will learn proper time management, organizational skills, and goal setting strategies. Students will select which program they want to earn their trade certificate credential at the end of sophomore year. Students are also prepared to take Microsoft Office Specialist (MOS) certification exams in Word, Excel, PowerPoint, and Access. These credentials are recognized worldwide. Whittier Tech is an authorized Microsoft Office (MOS) testing center. Possible career pathways: Business, Finance, Management, Marketing, Advertising, Banking, Accounting, Administrative Assistant, Public Relations, Office Manager, Salesperson, Payroll Clerk, Executive Assistant, as well as Retail Operations. Students in the Electronics/Robotics program learn the basic principles of analog and digital electronics with emphasis on AC and DC circuits, solid state devices, and digital circuits. In conjunction with this, students perform laboratory experiments that require prototyping, circuit assembly, and soldering skills. Students integrate these skills by building various electronic projects and kits that reflect real-world applications. In the robotic area, students learn how electronic circuits are used to control mechanical devices by building simple robotic projects such as mobile robots. Students also design and build robotic projects using computers and robotics software which progress from basic programming levels up to more challenging ones. Upon completion of the program, graduates have the foundation to pursue careers such as field service technicians, video game technicians, electronic inspectors, electronic assemblers or electronic inspectors. With further instruction, graduates could pursue careers such as electronic engineers, licensed radio/television technicians or medical electronic technicians. Engineering Technology is for students interested in science, technology, engineering and mathematics. The program is designed to provide qualified students, who are interested in pursuing an engineering or technical path in college, with the foundation of a broad but highly specialized education in engineering technologies. With a hands-on approach and using state of the art technologies and tools, students are introduced to various engineering concepts such as Engineering Design and Three Dimensional Solid Modeling. They will learn how to acquire engineering fundamental knowledge and practices, and how to develop their analytical skills and logical thought processes. During the program, the students will be introduced to various fields of engineering such as Mechanical Engineering, Civil Engineering, Electrical Engineering, etc. This program will climax in a Senior Year project that will test their ability to solve real world problems in engineering using their learned problem solving skills and techniques. The Whittier Engineering program is a Project Lead The Way (PLTW) certified program. PLTW is a national non-profit organization chartered for the increase of the quality and quantity of engineering and engineering technology in the USA. PLTW certification provides students with the opportunity to earn college credits for work completed in this program at a number of leading engineering colleges such as Duke University, Rochester Institute of Technology, Purdue University, New Hampshire Institute, and many other national and regional schools. The Transportation cluster is comprised of two majors - Auto Body/Collision Repair, and Automotive Technology. The Auto Body/Collision Repair program is a three-year NATEF Master Certified program built around the I-CAR® curriculum. I-CAR® is recognized industry wide as the leader in collision repair technology and research. The curriculum exposes and trains students in the trade through a series of competencies and tasks in the following areas: painting and refinishing, non-structural analysis and damage repair, damage analysis and estimating, structural analysis and damage repair, and mechanical and electrical components. In addition, students who successfully complete the Auto Body/Collision Repair program will receive I-CAR® certification as a Pro Level I Refinish Technician and Pro Level I Non-Structural Repair Technician. Students are eligible to receive credit for one year’s work experience towards various Automotive Service Excellence (ASE) certifications. Students may also receive one year of experience towards Massachusetts Auto Damage Appraisers Licensure. Upon graduation, students are employable as automotive refinishers, entry-level technicians, estimators, assistant managers, and salespersons for collision repair equipment, tools and supplies. The Automotive Technology program will train students in all eight National Automotive Technicians Education Foundation (NATEF) approved areas for which the department is certified. The training will consist of hands-on work performed on donated and customer vehicles. A series of competencies/tasks in all eight of the following NATEF approved areas will be covered: Engine Repair, Automatic Transmission/Transaxle, Manual Drive Train and Axles, Suspension and Steering, Brakes, Electrical/Electronic Systems, Heating and Air Conditioning, and Engine Performance. In addition classroom related instruction is incorporated. Students who successfully complete the Automotive Technology program are eligible to receive credit for one year’s work experience towards various Automotive Service Excellence (ASE) certifications. Job opportunities in the Automotive Technology area include: general automotive technicians, auto parts salesperson, specialized repair shops and customer service writers. The Service cluster is comprised of six majors - Cosmetology, Culinary Arts, Early Education and Care, Health Occupations, Hospitality Management, and Marketing Education. Students in the Cosmetology program learn the techniques necessary for a career in the beauty industry with a focus on how to develop a self-confident and professional attitude crucial for success in the trade. Students learn the principle steps of performing facials, manicures, scalp treatments, hair cuts, foil frosting, and acrylic nails. Chemical services such as hair coloring, hair bleaching, permanent waving and hair straightening are demonstrated throughout the program. Upon completion of one thousand (1,000) hours, students are prepared to take the Massachusetts State Board exam, and may obtain a Class I Cosmetology license. Upon graduation, job opportunities may include: salon stylist, hair stylist, nail technician, skin care specialist, platform artist, product educator, salon manager or owner, hair color specialist, texture service specialist, wig/extensions specialist, and make-up artist. The Culinary Arts program combines hands on training with classroom instruction. Students learn the principles of breakfast cookery, garde manager, food preparation, food service production, baking and pastry arts, food service and restaurant management, and banquet and meeting planning. A study of sanitation, health and safety, first aid/CPR, food service math, and computer/POS skills are included in the curriculum. Students have the opportunity to participate in SkillsUSA and the Massachusetts Restaurant Association competitions, earning them scholarships for post-graduate certificate or degree programs. Upon graduation, job opportunities include: prep cook, industrial cook, assistant chef, assistant pastry chef, server, dining room manager, and fast food manager. The Early Education and Care program is designed to prepare students for professional careers of caring and teaching with an emphasis placed on the development of young children. Through their practical experience at various child care facilities, students observe and participate under the supervision of certified teachers and child care professionals. Students gain experience of a variety of “ages and stages” as well as different teaching styles. The curriculum in child growth and development is designed to prepare students to apply for certification as infant/toddler and/or preschool teachers, by the Massachusetts Department of Early Education and Care, as well as certification as a paraprofessional in the state of Massachusetts. Graduates will possess the necessary skills to be employed as workers in the early childhood field or may choose to continue in their education at the post-secondary level. 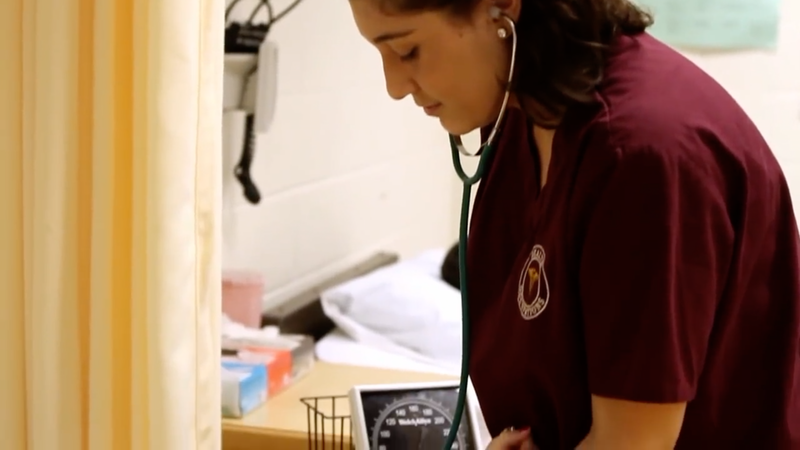 The Health Occupations department at Whittier Regional is designed to provide students with an opportunity to learn and experience the fundamentals of the health care industry. Students will learn the basic foundations of the health care professions during their freshman and sophomore years, including having the opportunity to job shadow/explore various career paths within the health care industry. Sophomore year all students will complete certification in: CPR – Cardiopulmonary Resuscitation, AED – Automated External Defibrillator, and First Aid. Upon completion of the sophomore year students will choose between earning a certificate in Health Assisting or Medical Assisting. Health Assisting: Junior year, students will have the opportunity to learn direct patient care as they pursue certification as a State Certified Nursing Assistant – (CNA). Whittier Tech is an approved Massachusetts Department of Public Health Care and Quality Program. Students are prepared both academically and clinically to successfully pass the Massachusetts Nurse Aide Competency Exam. Medical Assisting: Medical Assistants perform administrative and clinical tasks necessary to keep medical offices running smoothly. Duties of Medical Assistants include but are not limited to: registering patients, updating medical records, taking medical history and vital signs, drawing blood, performing EKGs, overseeing routine laboratory testing, and assisting medical professionals as needed. The Hospitality Management Program at Whittier will explore the fundamentals of Hospitality and Tourism, including: front desk personnel, food and beverage service, housekeeping operations, facility personnel, banquet and catering service, meeting and event planning, hospitality marketing and sales. Students have the opportunity to earn ServSafe Food Certification, ServSafe Alcohol Certification, Chokesaver/CPR Certification, Allergen Training Program Certification, and an OSHA 10- Hour General Industry Certification. Students may participate in SkillsUSA and Massachusetts Restaurant competitions, earning them scholarships for post-graduate programs. Students are also prepared to take Microsoft Office Specialist (MOS) certification exams in Word, Excel, PowerPoint, and Access. These credentials are recognized worldwide. Certification builds individual distinction and ensures employers that students are prepared for an increasingly competitive workforce. Whittier Tech is an authorized Microsoft Office (MOS) testing center. Cooperative Education and/or Internships provide students the opportunity to develop academic, technical, and employability skills in a work-based setting. Students in good academic and technical standing, who have demonstrated the knowledge and skills associated with two full years (the equivalent of 8 terms) in their chosen technical field, are eligible for co-op employment. Through a cooperative arrangement between the school and employers, students alternate their studies in school with paid employment in their chosen technical field. Students are evaluated weekly by their employer and documentation is submitted to the Cooperative Education Coordinator. Cooperative Education placement requires a formal agreement between the school, employer, student, and parent/guardian. Students who participate in the Co-op program will be issued a Cooperative Employment Work Permit by the Co-op Coordinator. For students in good academic and technical standing, student's are eligible to take part in an internship opportunity. Internships are unpaid work based learning experiences. Like co-op, internships are structured learning experiences related to the student's program of study, are graded weekly, and require a formal agreement between the school, employer, student, and parent/guardian. Administrative recommendation/approval to ensure good discipline/conduct and attendance. Provide students with a safety and health orientation specific to the work site, prior to commencing work/Internship. Provide students continuous supervision by the employer. Provide a safety and health orientation specific to the site for all employee-students. Allow sufficient supervisory visit time between student, employer and the school’s cooperative education coordinator or appropriate vocational technical teacher. Employers must have Worker’s Compensation Insurance and provide a copy of binder to the school. State law and Whittier School District policy requires a CORI (Criminal Offender Records Information) on any individual who has direct and/or unmonitored contact with Whittier students. A CORI is also required for any individual that may be transporting a Whittier student to and from a job site. The student is injured on the job. The student does not report to work/Internship as scheduled. Whittier reserves the right to terminate the co-op or internship agreement at any time because of student’s grades, attendance, or discipline matters.